Hotel Regency, Book Online Hotels, Online hotel booking. The only stars facility unique Hotel, conveniently located in the heart of the City. 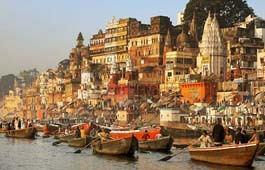 Centre of all tourist interest, (Ghats, religious spots and shopping malls). No other hotel puts visitors in closer proximity for everything to see and do in Varanasi than the Hotel Regency. Elevate your standard The land of spiritual guidance and enlightenment beckons you for a rewarding experience in its pious vicinity. Where heart meets religion and ambition meets strength, in such a land of auspicious aura- Varanasi, is located Hotel Regency. Guided with a passion to serve tourists from various locales, Hotel Regency in Varanasi is a true heaven of comfort and hospitality. Away from the city noise and still close, the Hotel Regency is hardly ½ Km drive from the Railway station and roadways. 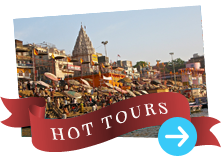 Guests can take in the sights of this historic town, such as the Cantonment, Sarnath, Kashi Vishawanath Temple, Ashoka Lion, Ram Nagar fort, Durga temple, and the various ghats in and around the area. As a centrally located luxury hotel, this hotel in Varanasi offers a lot to religious and business travelers. Our efficacy lies in visualizing the essential requirements of the traveler by providing him much wanted relief from the hustle and bustle of the city. Strategically located and barely minutes away is the major shopping business complex.